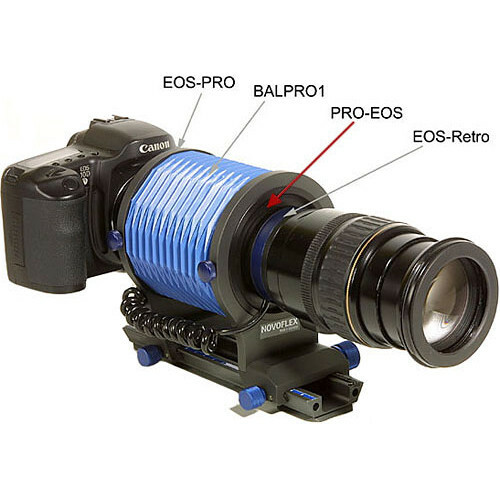 The Novoflex PRO-EOS Adapter Ring allows for the benefits of the EOS-Retro to be applied to the Balpro or T/S bellow systems. This adapter fits in between the EOS-Retro and the bellows, at the lens end. When using a Canon EOS camera with an EOS compatible lens, this combination will transmit all lens-to-camera information. Box Dimensions (LxWxH) 3.7 x 3.7 x 1.5"